THE Federal Land Development Authority (Felda) is drowning in debt, mainly because of poor governance, external political interference and unsound investment decisions, including by its subsidiaries. A White Paper on Felda, which will be tabled in Parliament next Monday, is expected to reveal how it ended up in its current financial state. 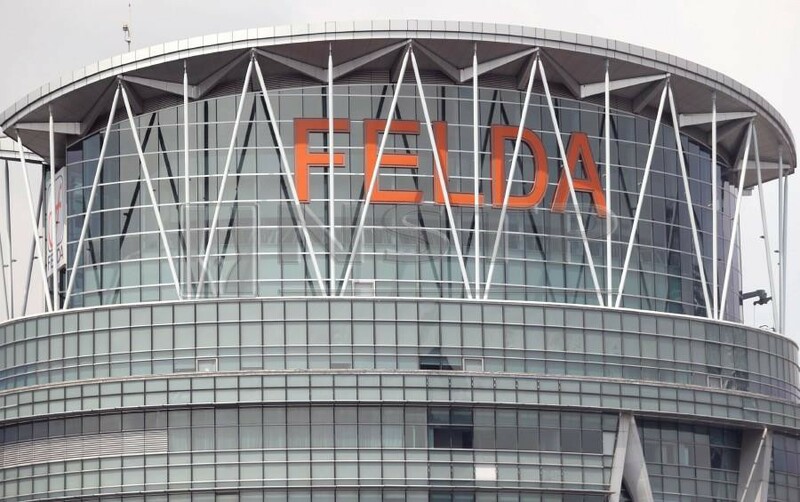 Felda’s debts totalled RM8.05 billion (as at end-June 2018). Sources with knowledge of the contents of the White Paper said the document would detail the kind of poor governance Felda had endured in the past and the “interference” from Barisan Nasional politicians, which ultimately caused it to bleed heavily. Those in the Economic Affairs Ministry involved in the drafting of the White Paper had, among others, roped in various agencies they believed could help provide more details of information they already had in hand. The New Straits Times was made to understand that these notes, coupled with paper trail and documented evidence, have suggested that there were serious loopholes, especially when it came to decision-making, procurement and investments, including acquisitions of shares, involving subsidiaries of the agency. They spoke of the purchase of Merdeka Palace Hotel in Kuching, Sarawak, which its subsidiary — Felda Investment Corporation — bought for an inflated price of RM160 million, when the property was supposedly worth RM110 million. Another set of sources told the NST that the Malaysian Anti-Corruption Commission (MACC) had completed its probe into the case, and would be holding Felda ex-chairman Tan Sri Isa Samad liable for abuse of power. The deal was executed during his tenure at Felda. It is now up to the Attorney-General’s Chambers (A-GC) to charge him. Sources said one item that supported the findings of poor management and unsound business decisions was FIC’s purchase of the four-star Grand Plaza Kensington, which was later renamed Park City Hotel, between 2013 and 2015. It was said that the Felda subsidiary purchased the hotel in Kensington, London, for an inflated price of RM330 million, when the property was said to be valued at RM110 million. Felda had earlier purchased the upscale Grand Plaza Serviced Apartments in Bayswater, also in London. It is learnt that the White Paper would also touch on and revisit Felda’s transfer of about 400,000ha of oil palm land to FGV Holdings Sdn Bhd for exploration and listing purposes in 2012. Surrounding issues that followed included that only 9,000ha of the total hectarage was given to Felda settlers. The NST was made to understand that those involved in the White Paper also looked into a RM300 million “special fund” that BN had said would be used to write off extraordinary or extreme debts of all eligible Felda settlers for the next five years, starting this year. Their debts from the purchase of Felda Global Ventures shares were also supposed to have been written off. The previous regime had also committed to providing a replantation grant of up to RM7,500 per hectare for each eligible settler in the next five years, starting this year, a plan that was said to ultimately reduce up to 70 per cent of the settlers’ replantation debt. “The government is expected to detail out Felda’s cash flow problem and the strategic recovery plan for it in the White Paper. It is ultimately looking into ways to improve Felda and protect the rights of settlers. “The White Paper will seek to correct the problems that cost Felda and plug the loopholes that have been discovered, especially in decision-making processes, procurements and acquisition of shares. “It was discovered that under the previous administration, the SOP (standard operating procedure) in decision-making was blatantly bypassed, there was an issue of transparency and that on occasions, only certain top senior officials were involved in the process,” one of the sources said. Those involved in preparing the White Paper went deep into suspect past acquisitions, including its acquisition of a 37 per cent non-controlling stake in Indonesia’s PT Eagle High Plantation from the Rajawali Group. “Due diligence was not properly done in purchasing the shares, which was considered a high-risk investment. What is now known is that Felda was pressured into acquiring the shares due to political interference from the previous regime,” he said. On Nov 1, Economic Affairs Minister Datuk Seri Azmin Ali revealed that the first draft of the interim report for the White Paper unearthed serious problems affecting Felda. He had said some of the issues listed in the White Paper had been investigated by the MACC. MACC Deputy Chief Commissioner (operations) Datuk Seri Azam Baki, in an immediate response, said the commission was ready to investigate any elements of corruption if they were highlighted in the report.